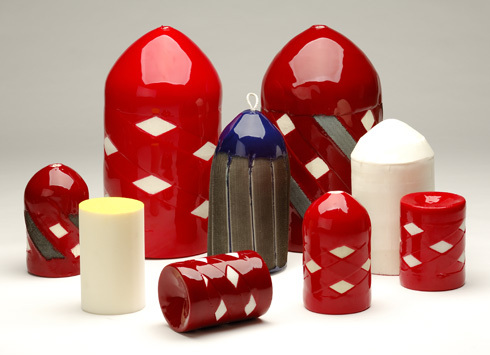 Girard Polly-Pigs, constructed of open cell polyurethane foam, are available in light, medium and heavy densities. They are designed to negotiate pipeline configurations that other pigs cannot, such as “tees,” elbows and multiple diameter reductions. There are four basic types of Polly-Pigs: drying, wiping, cleaning, and scraping. Each are available in three grades of durability: light, medium, and heavy densities. With over 28 different models to choose from, Polly-Pigs can do everything from light cleaning and drying to removal of heavy scale. The Yellow Bare Swab is designed for line proving and drying. The Double Dish Polly-Pig is designed for bi-directional use. Wire Brushes are available on both medium and heavy density Polly-Pigs for removal of hard deposits and scale. Polly-Pigs have a concave base plate with a 90A durometer polyurethane coating. This provides a maximum rear sealing surface for the propelling forces of the fluids or gases being used. Swabs or bare pigs, which have only the bases coated, are normally used in drying or batching operations. Special double-nose or double-dished pigs are used in bi-directional service. The exterior coatings on the foam bodies consist of criss-cross type spirals of 90A durometer polyurethane. These spirals add strength and give greater wiping and scraping action as compared with bare foam. Girard manufactures two types of criss-cross pigs: the original pattern and the patented “Turning Pattern.” Wire brushes, silicon carbide, or plastic bristles can be embedded in these polyurethane spirals to add maximum scraping or brushing action.